The Governator era suddenly it looks like one big ego trip. That is the question millions of Californians are asking amid revelations that former Gov. Arnold Schwarzenegger fathered a child with a household staffer and lied about it to his family and voters for nearly a decade in public life. In the afterglow of his election, Schwarzenegger looked like the kind of take-charge guy who could confront extremes in both parties, reform an overpriced bureaucracy and restore the Golden State’s luster. We’ll give him credit up front for reforms such as an open primary and a citizen-led redistricting that show long-term promise for making this sprawling state more governable. Some disclosures: I never got close enough to shake the man’s hand. I shouted a question or two at him from behind the rope line at a press conference or two and the last time I saw him was at the dedication of a veteran’s home in Saticoy. On several occasions the Business Times tried, without success, to get him to speak at one of our events. Frankly, now I’m glad we weren’t successful. Here’s the bigger case against the Governator as governor, a case that looks strong in light revelations about his personal values and his family life. When he came into office he swore to “blow up the boxes” and find billions of dollars in savings. A lot of headlines were made, but his much-ballyhooed audit came up empty. 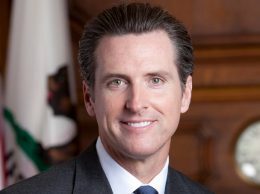 He enacted workers’ compensation system reforms that kept those costs from spiraling out of control, but the structural problems that plague California were not addressed. Indeed, taxes went up, and the state’s real gems — our public colleges and universities — were stripped bare. His bold and new initiatives — stem cell research, high-speed rail and infrastructure bonds — looked really good on the outside. But they were extra-governmental affairs that created new responsibilities outside the state bureaucracy. Now we are siphoning off millions of dollars a year in spending on new superstructures to carry them off — and many were funded with bonds that will need to be repaid. Finally, there are the problems of pensions, prisons, commissions and over-regulation of the private sector. Schwarzenegger’s solution was to bully, cajole and try to cobble together a solution. When that failed, his favorite gambit was to take a foreign trip and boost his image. More than once on his watch, the state careened toward a default, issued IOUs and descended into budget chaos. The Governator loved the limelight but he didn’t really know the first thing about governing. He damaged his family, his party and left an enormous mess for his successors. Maybe Peter Ueberroth was the better choice in the recall. As disappointing as Schwarzenegger has become to Californians, there are real heroes out there. In the spring of 2006, I was flying back to California after a business journalism conference in Minneapolis when a rare upgrade came through. I found myself in First Class seated next to a fit-looking gentleman a few years older than me. Killebrew was a delightful guy. He regaled me with tales of growing up in a family that loved to play ball and tore up the yard to his mother’s chagrin. He had a great career and in retirement, dabbled a bit in minor league franchise ownership. The fact that I was a media person didn’t faze him, and when he heard I owned a small company in Santa Barbara he tried to get me interested in buying a Class A team and moving it to the Central Coast. It was a memorable conversation and it’s easy to understand why his star remained undiminished as he left his playing days behind. His untimely death this past week from cancer of the esophagus saddened me. But he leaves behind a great record, 573 home runs and the gratitude of millions of fans. The Twins are not my team — I split my allegiance between the Dodgers and the Rockies — but you will be hard pressed to find a better person or a better player than Harmon Killebrew.